I was listening to Relics of Orr recently and Greibach brought up an argument I’ve been having with Allona for quite some time. It’s Greibach’s opinion (and mine) that Arenanet was probably never going to bring back Super Adventure Box. But Allona along with many others seems to think they always had plans to bring it back but hadn’t announced anything and weren’t talking about it and everyone else just jumped to conclusions. I guess I have to explain my reasoning by talking about how Arenanet answers questions. In my opinion if Arenanet says something along the lines of “it’s something we’d like to do in the future” or an equivalent sentence then that’s code for they’re not working on it and not planning on working on it. As a blogger following Guild Wars 2 since 2009, I’ve read that sentence countless times, and to go back now and find every example would be a herculean task. However I do happen to have a bunch of current examples. We really want all players to be able to experience as much of the Living World as possible at one point, but I don’t have more details to give you, including a possible timeline. This was Stephane Lo Presti on retrofitting the first season of the Living Story so that players can go back and experience it. Personally I don’t ever see it happening, it seems like a super complicated thing to take content designed to be played by hundreds and alter it to be playable for groups of 5. The vagueness of wanting to do it but having no timeline totally fits the Arenanet codetalk for having no plans to do it. Also I’m sure they’re well aware of the demand for build templates, but I don’t think they’re working on that either. It’s a system we have on our list of things that we hope to add to the game at some point. They’d vaguely like to work on it and there is no timeline. Couldn’t be more clear cut if you ask me, they’re not currently working on this. Of course I’m not saying they’ll never work on it, just that they’re not currently working on it, and unlikely to work on it any time soon. Or how about capes? A lot of people (crazy people) want capes. It’s something that we are trying to work on, we actually have folks who are in their free time working on that project right now. Colin Johanson’s vagueness and lack of timeline definitely fits the framework I’m talking about. It’s super complicated and you’re only “trying” to work on it? There’s no official timeline because people are only working on it in their free time? This is not a thing that will happen. I could further go on an entire rant about capes (I won’t) but whether or not capes should be in the game they’re not a high priority project. Devon Carver: You want to… you want to deliver the news? Matt Wuerffel: Sure. Yeah, I mean, when we are talking about the Living World and the Living Story, you can see that we are moving towards a much more focused narrative, and that is focused on your relationship with Braham and Rox and some of the other characters that we have introduced. And that means that there is less, one, there is less space to do something where you kind of take a break and say: ‘And now for something completely different’ – which is what Super Adventure Box was. I think the other part of it is that we look very carefully at how much people played and how much people enjoyed certain portions of content that we put out, and so that also weighs into the factor of ‘Well, okay, what are we going to do, and when are we going to bring back things? What do we do, how much time do we put into different festivals, Halloween and Wintersday.’ And so, Super Adventure Box has a ton of people that were really excited about it, and it also has that difficulty of, it is something that’s really different from Guild Wars 2 in a lot of ways, and it doesn’t easily fit into the narrative structure of Living World. And so, I think it would be very unlikely that you would see it as part of a Living World season release, as to whether or not we come back to it, whether or not in some other form, you know, I can’t really say, I don’t know how likely that is and that is really all I can say about it. Look at all that subtext. “You want to deliver the news?” As if Matt were about to deliver a death notice to a worried mother. They go on to note that they’re moving towards a more focused narrative and that SAB is in the complete opposite direction. Then Matt gets into a virtual litany of reasons as to why they might not bring it back. It’s different than the rest of Guild Wars 2, it doesn’t fit with Living Story, it doesn’t fit the narrative structure, they have to decide what to spend time on (which makes it seem like according to their internal numbers maybe SAB wasn’t as popular as the vocal minority might suggest) and even says it’s unlikely to be released as part of the Living Story. You know, the living story, AKA the way the vast majority of their content is released. And people are still under the impression they were maybe going to bring it back? No, no they weren’t. Which is why even the more informed fans got a little cranky. Basically what I’m trying to say is, if Arenanet doesn’t have plans to do something but haven’t ruled it out, they’re vague and a little misleading. If they have no plans to do something and pretty much have ruled it out, they itemize their reasoning for you. 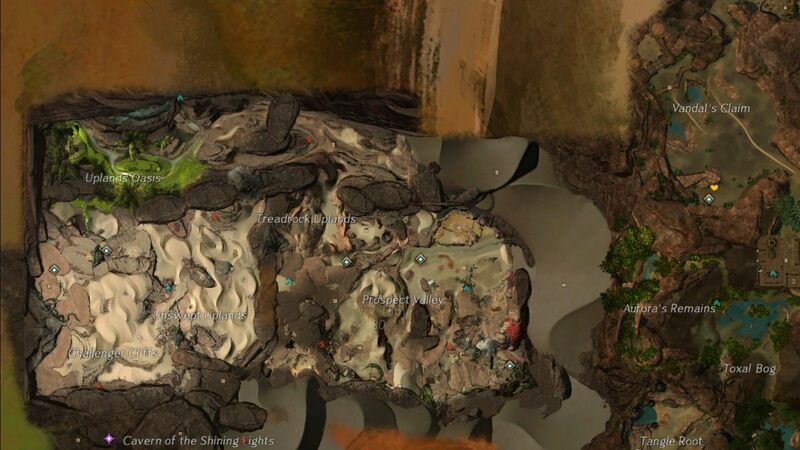 Of course the great thing about Arenanet is that people… gave feedback… and they listened. Super Adventure Box has been confirmed to return… eventually. And while I don’t think Arenanet is working on some projects right now, I’m not saying they won’t. They’re currently working on an expansion in my opinion. So who knows what kind of features will come with that. But as for Super Adventure Box? Nah. They weren’t going to bring it back. Patiently waiting for Arenanet to drop some news about an expansion or some other kind of large update has left a lot of people stir crazy. While Arenanet seems to want to placate people with forum banter, I personally don’t think much will satisfy fans until we see some exciting announcements beyond Living Story. Behind it all though I think we can read into things and I have an optimistic outlook for the future. Arenanet has always been very vague about what’s going on in the background, but they’ve hinted heavily at times that at the very least we’ll see expansion-like updates at some point. 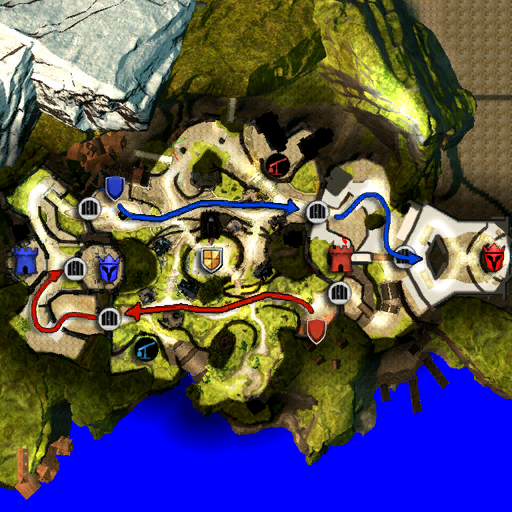 Some of our players believe that because we are doing this Living World seasons, and these features or these big feature-builds, that it means that the features you would traditionally get in an expansion, or the content you would traditionally get in an expansion, is not something that will get added to Guild Wars 2. And that is not true at all. “Not only are we doing those things, new features and content you would traditionally get from a boxed expansion are also things that will be added to Guild Wars 2. Couple these comments with various conflicting reports from NCSoft (they’re working on an expansion! no they’re not! well maybe!) and you get the idea that at the very least it’s on their mind. Outside of vague promises and hints, there isn’t much to go on. However take for instance this blatherskite about the New Player Experience that upset everyone so much. I’ll agree that some aspects of it are irritating, particularly skill unlocking, but I’ve actually found it to be much improved, more informative, with better rewards. But why devote so much effort to converting the NA/EU starter levels to match China if you’re not expecting a huge influx of new players? I think it’s a good indicator of direction. In the short term we do have a few things to look forward to aside from the Living World continuing and festivals. Just why is there an inordinate amount of code buried in the .dat file (found by That_Shaman) for a new tutorial zone? Something I haven’t mentioned yet is that there’s a huuuuge amount of lines for some sort of a tutorial zone as well. 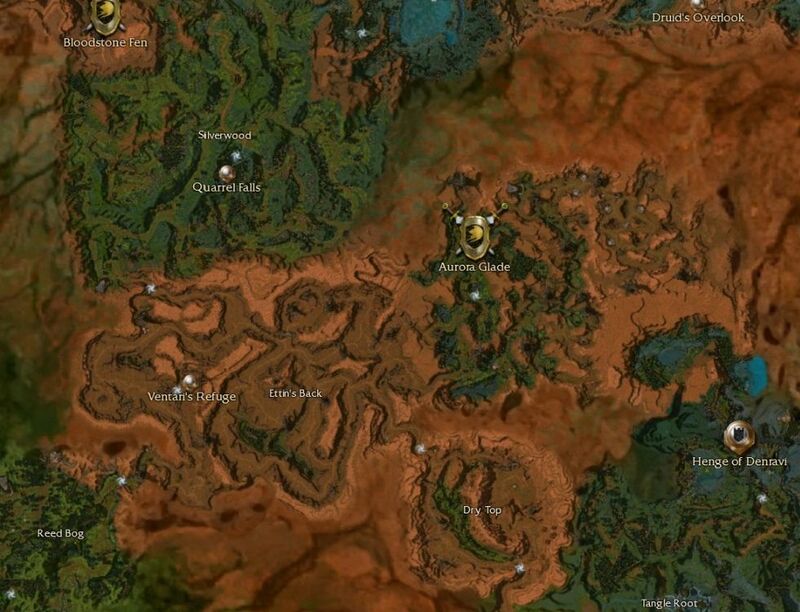 I suspect it’s probably to do with PvP (via Twitter That_Shaman has suggested it has to do with China and things to do with crafting and siege mechanics so maybe not) Arenanet has mentioned a new PvP mode off and on for about a year, showing screen caps in a live stream and throwing maps into the .dat file, along with location names That_Shaman dug up like Tutelage Isles (and Combat Training Grounds, Isle of Trials, it all reminds me of the Battle Isle tutorial area) and not to mention the promise of PvP ladders and seasons a good 10 months ago. I’m thinking the new mode, ladders, seasons, and tutorial, will likely be announced soon. They’ve got a fairly high profile PvP tournament with a cash prize coming up and capitalizing on the attention that will generate is probably the game-plan. 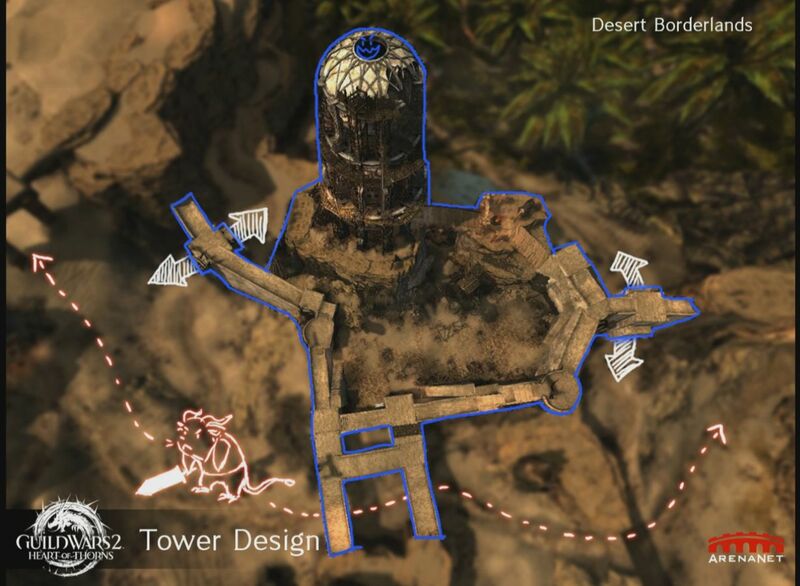 Plenty of speculation about what the new sPvP mode could be, CTF, Deathmatch, Tower Defense. I think it’s interesting that Arenanet removed Reaper’s Rumble from Halloween 2013, and then a month later start mentioning a new sPvP mode. But getting away from PvP and moving towards long term prospects, I wonder if we can glean something from their job listings? Supposing of course they’re not just replacing people. They’ve said they’re done using the initial personal story cinematics with stick figures in front of artistic backdrops. So does that explain why they’re hiring a couple of people for their cinematic team? Will they work on the Living World or future personal story steps which might require more man-power. They’re hiring an economic systems designer and a data analyst. Is that an indicator of a large number of new items, entire economies within the game that need to be reckoned with? They’re hiring a PvP Game Designer, which would align with a new PvP mode. They’re hiring a Raid Content Designer, which could point to either more new open world Tequatl type encounters, Guild Raids, or actual raid type content. I could also draw from the Collaborative Discussion Initiative threads on the official forums, but so little of the content of those threads has been acted on and likely won’t be for some time. Hard to guess what they’ll implement, what is possible to implement, and what they’ll decide to ignore. The topics seem suggestive. Horizontal character progression suggests to me they’re thinking of the original Guild Wars, where a lot of new content was added but you never had to progress vertically. Some things have been implemented already from these threads but I suspect they may have already been in the works, like the wardrobe. I’m not the optimistic fool type. Pleasantly awaiting things that will never come. They’ve got an enormous number of people working there, one of the few studios to release an MMO and not have layoffs following launch, and only a small team working on continuing updates while the rest do…. stuff. With so little information, and Arenanet so unwilling to talk about what’s going on, I can draw only one conclusion. Expansion. I can’t guess at the content. Races, professions, new zones, new enemies, new rewards, and a ton of stuff designed to sap our wallet in the gem store, I’m sure all that is likely. So I was planning on doing temple runs with my guild and the question was put to me, “How much money do you make?” And I realized after all this time that I don’t actually know. While I know it is a good way to get ectos other assorted materials, I hadn’t thought much about what I actually get out of it. There are plenty of ways to make money in Guild Wars 2, are Temple Runs one of them? So tonight I monitored how much silver I made total from selling all grey material, blues and greens. I salvaged my cloth, didn’t deposit any collectibles, left my rares temporarily unsalvaged, didn’t open my Gilded Coffers or Heavy Moldy Bags. We did Melandru first, but I missed the precious 2nd beacon farm event, which likely would have increased my profits. Followed by Lyssa, from which little drops to begin with, but again we didn’t have to do pre-events, she was already in progress. Then Eye of Zhaitan after which we proceeded to the northern invasion pre-events for Balthazar. Following that, Arah (post Warmaster Chan event which is still crazy broken due to scaling) then the Priest of Grenth and its subsequent chest event. Followed by the final event at Dwayna, unfortunately missing the Historian Vermoth champ farming event. This took about an hour and a half, which is around average these days. I did all this with a good amount of Magic Find. Food up at all times, a booster for the first hour, a banner for the majority of the events and guild buff as well, so I probably had close to 275% at times but around 225% magic for the rest. I made about 1g20s from the grey, blues and green, and the event rewards. I only received 4 T6 trophy materials, which is the big disappointment for me. I mean come on, no wonder the prices for these are so out of control if I can spend an hour and a half playing with an insane amount of magic find in the toughest area in the game and only get 4 of them. Profit would be 1.57g minus taxes. I also picked up 26 T5 trophies, 8 of which were incandescent dust. This works out to about 74s. I salvaged about 36 silk scraps, which works out to around 82s. I looted 16 rares. If I were to simply sell these on the auction house that would equal, before taxes, approximately 8.78g. I’m going to salvage these however and get 11 ectos worth just over 4g, along with other materials worth around 60s. I’ll also open the 27 Heavy Moldy Bags, and 6 Large Moldy Bags. This works out to about 1.6g in materials before taxes on the AH. Unfortunately I again received a paltry amount of T6, one Vial of Powerful Blood. Opening 16 champ boxes gives me just 2 more T6. Ugh. But adding up everything I sell, T5, silk, gossamer, greens, and other items comes to about 2.2g before taxes. Now keep in mind I’ve been rounding numbers up and down to make the numbers easier to read and deal with, and I’m not even interested in a scientific result here, just a big ballpark figure, but I came out around 14 or 15g ahead of the game after taxes, if I had sold the rares instead of salvaging them. It’s much closer to 10g with salvaged rares. That’s also keeping in mind that I would have had to sell everything, and not keep the silk, the gossamer, the T6, the T5, or anything else. If I do keep those materials, I come out with very little gold overall but plenty in materials. I was talking with my good friend Spirit, found on Twitter and the Relics of Orr podcast and she happened to mention something offhand about the living world team. She had said the size of the team was actually only about 20 people. I immediately waterboarded her for more information and she provided a link. I am just one small member on a very large team that creates the Living World content. Our team changes in size, but there are just a little over twenty people on it at any given time. This includes artists, designers, QA people, project managers, audio engineers, composers, leadership, programmers, and writers. The Living World is very much a team effort. We have a series of meetings as we’re developing each release that start big picture and gradually hone in on exactly what we want to do. We all have our areas of expertise that we bring to the table, but everyone is invited to give opinions and ideas. My responsibility as narrative designer for the team is to keep the lore in check, to ensure the dialogue for the iconic characters is in voice, and to guide us through the overarching storyline, so that each release keeps us moving toward our final story goals. We’ve made a lot of changes for Season 2. We’re continually improving our processes with each new release. The most notable being that we no longer have 4 Living World teams, each making their own content; we have 1. This has allowed us to create much more cohesive releases, and I think you’ll find that our story hangs together quite well in Season 2. Now I guess I missed this when it was first posted a month ago, or I completely forgot about it, but I thought it was worth drawing attention to. A little over 20 people, to me, is a very impressive number of people for the amount of content they’re pushing out, especially when Angel goes on to stipulate the depth of the team right down to Quality Assurance. Not to mention the fact that there is now one living story team and not four. Which certainly seems to explain a great deal of the much stronger narrative direction. But what I guess is most intriguing to me is that Arenanet employs something like 300 people. What are the other 250ish people working on exactly? I mean we have information on upcoming features up until about September 9th. Beyond that we can guess at 3 things. 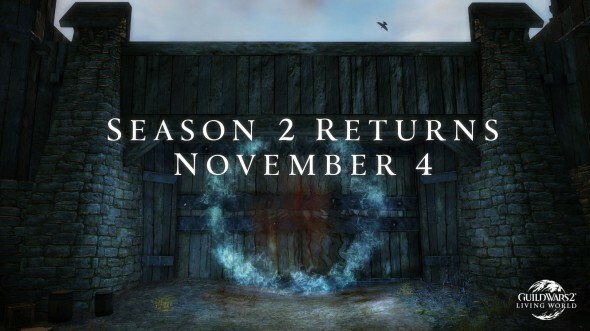 Halloween, Wintersday, and the remaining episodes of season 2. And all of that just follows from logic, not any actual information. And will the living story team handle Halloween and Wintersday or is that worked on by other teams? I get the feeling that a little of the ill will towards Arenanet recently stems from a lack of long term information. Yet they’re obviously working on… something? I think they’ve even said as much in vague comments here and there. That’s not going to satisfy the average MMO player unfortunately. People want long term goals to work towards. That ranges from in game goals like precursors and stacks of ectos to out of game goals like expansion rainbows and unicorn mounts on the horizon.